Sondra Kronberg, MS, RD, CDN, CEDRD-S, is the Founder/Executive Director of Eating Disorder Treatment Collaborative, F.E.E.D. IOP (Family and Friends Eating Events and Direction) and P.E.A.CE. (Professional Eating & Coaching Events) programs of New York and owner/director of Nutrition Counseling Specialists & Eating Wellness Programs. Sondra is a nutrition therapist with 30 years of experience and a recognized leader in the field of eating disorders and body wellness. She is a licensed clinical nutritionist, certified eating disorder specialist, consultant and treatment advisor. 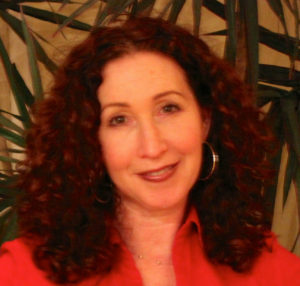 Nutrition and Eating Consultant to the Carolyn Costin Institute and founding member and media spokesperson of the National Eating Disorders Association (NEDA).Sondra is the author of the Comprehensive Eating Disorder Learning/Teaching Handout Series and contributing author to the book, Eating Disorders in Special Populations: Medical, Nutritional and Psychological Treatment. 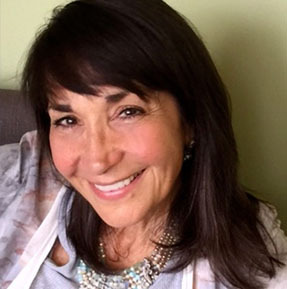 Sondra received the International Association of Eating Disorder Professionals Certified Specialist Award (IAEDP), the National Eating Disorders Association Excellence in Treatment Award (NEDA) and the SCAN Excellence in Practice Award. In Oct 2017 Sondra received NEDA’s first Legacy Award. Sondra presents regularly at national conferences for professionals and the public. She brings awareness to prevention, education and treatment and has appeared on PBS, Good Morning America, ABC, CBS, Fox 5, Dr Oz, 20/20 and Anderson Cooper. Randi Zimmerman, LCSW-R, CEDS*, is Director of Psychotherapy for F.E.E.D. Randi is a seasoned clinical psychotherapist treating children, teens and adults. She is a specialist in the field of eating disorders. At F.E.E.D., Randi implements coping skills and behavior transformations related to eating disorders in a group setting. In addition to eating disorders, Randi also has extensive experience with a wide variety of issues and disorders such as anxiety, depression, ADHD, OCD, trauma, sexual assault, relationship and behavioral issues. Randi's approach is highly individualized, interactive and relational. Randi earned her Master's Degree from New York University's prestigious Shirley M. Ehrenkranz School of Social Work in Manhattan. Randi is a member of the National Association of Social Workers (NASW), International Association of Eating Disorder Professionals (IAEDP), and the National Eating Disorders Association (NEDA), and a former founder and co-chair of the Parent Action Resource Committee (PARC). *Ms Zimmerman is an independent licensed professional affiliated with EDTC. Our professionals provides a supportive therapeutic experience within the framework of a mutually respectful relationship to all sufferers and their families. They devote themselves to developing treatment approaches that reduce symptomatic behavior, improve physiological status and reduce emotional impasses, allowing sufferers to improve their level of functioning and move forward in their lives. A network of psychiatrists, medical doctors and other professionals work closely as needed with EDTC affiliated nutritionists and psychotherapists to provide a full range of services. We collaborate with centers of excellence throughout the country.